I used to dread presenting a PPT, because I knew that if people liked it and wanted to reference it later, they’d come asking me or my assistant for the whole slide deck to be sent to them. Now I convert each presentation to video and stream it on our website where anyone has instant access. Quite the tool. This product is a real lifesaver. I love PowerPoint for making quick training materials and reports. Now, instead of sharing each one individually with hundreds of employees, clients and other stakeholders, I just convert it to FLV and it’s on our YouTube channel in moments. Wondershare PPT2Video Pro is an all-in-one PowerPoint to video converter for Win (Windows 8 supported). It converts PowerPoint presentations to almost all popular video formats such as MPEG-1, MPEG-2, AVI, MP4, WMV, MOV, 3GP and HD videos. With it, you can conveniently feature your presentations at trade shows, loop graphics as digital signage, in-store displays, or use it as a video podcast for portable devices. Convert any PowerPoint presentation to video. Batch convert up to 12 PowerPoint files at one time. Keep all animations, transitions, sound effects/audio, video & narration. Convert PPT to130+ preset output profiles in one-click. Export highly compatible outputs that can be easily upload onto YouTube, Facebook, websites and blog. Easy to use, no computer skills required. 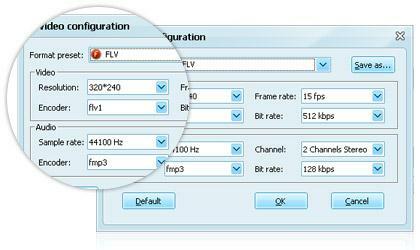 Adjust video settings including resolution, frame rate, and audio fidelity to precisely adjust video quality. Add your own logo or watermark to the finished video, personalizing your PowerPoint presentation for branding and copyright protection. Set slide duration before conversion or use the original time settings in your PowerPoint slideshow. Add, loop, or disable background sounds for your presentation. Knowledgeable representatives available to assist you through instant live chat – any time of day or night. Create amazing videos easily using Filmora's wide range of powerful editing tools. dr.fone Reinventing together. Your ultimate stop for digital solutions. Get Control Over PDFs Like Never Before. The Most Powerful Video Converter Ever in the market.